Campaign for the Zoomer MBNA credit card re-launch, included print, inserts, advertorial and digital. Also responsible for writing the case study displayed here. Provided writing services for a re-vamp of a the website for BLUERUSH, a digital agency in Toronto. Crafted copy for the landing page and related content for the launch of the NFL MBNA Visa credit card in Canada. I created content and branding from scratch for TapSnap, a startup company with a photo booth like you’ve never seen before. This organization was a new kid on the block aiming to tackle homelessness by engaging business people and community leaders in creating solutions, and raising money. The message was homelessness is a community problem that requires a community solution. It’s an age-old story: the immigrant with a PhD driving a taxi. The Immigrant Employment Council of BC is trying to change this from the employer’s side of the table. This starter website focused on the key message that immigrants are an opportunity for BC employers. 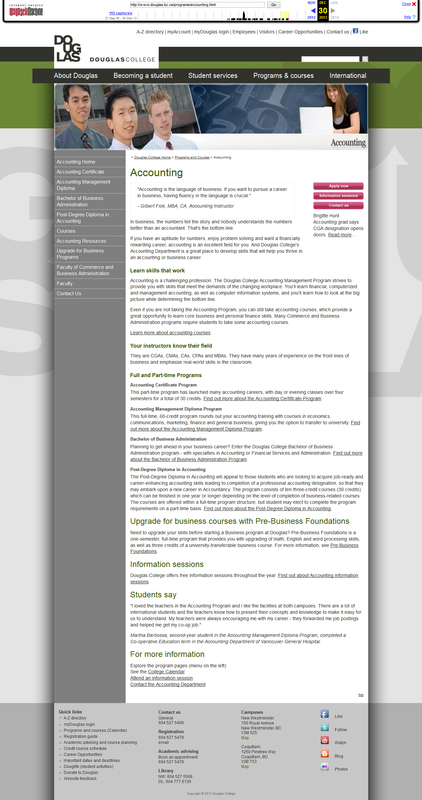 I wrote 25 websites for Douglas College programs. Here is one of them. Your Generosity is Only the Beginning of Something Wonderful — fundraising writing thanking Vancouver Foundation donors. One Simple Act of Giving is Where Community Begins — fundraising writing thanking Vancouver Foundation donors.